If you avail Globe Tattoo DSL internet on home or office, a Wi-fi modem will be issued to you together with the telephone line. Once the internet is working I’m sure you’ll start browsing, downloading and streaming using your PC, mobile phone and tablets. You also want to reconfigure the wireless connection password to your desired security key. In case you don’t know how to do it, this guide will help you make it easier for your set and change your Globe modem’s WiFi password. 2.Go Wireless tab then click on Security. On this menu you can see option for SSID (Wifi name), you change it if you want. You can also enable or disable your wireless name by clicking the button. Security mode is also found here where you can set options like WEP, WPA and WPA2 encryption. 3.On the Pre-Shared Key field type your desire Wifi password then click Apply. Allows 8-63 characters. You can also use the Globe DSL modem default Admin password if above user credentials doesn't work for you. to find the word password just press ctrl+F then type the word you searching for. It wouldn't open at all. Now how am i suppose to change password? last month or a week ago. user & user works and i can access it. but now the user & user is login fail. why? and how to access again it. We just had our old Globe broadband modem replaced today with a new one which features a Wi-Fi functionality. I can vouch that the said username and password still works -- on ours, at least. You may want to add a step like (connecting the ethernet/LAN cable into the computer and one end into the wifi modem). 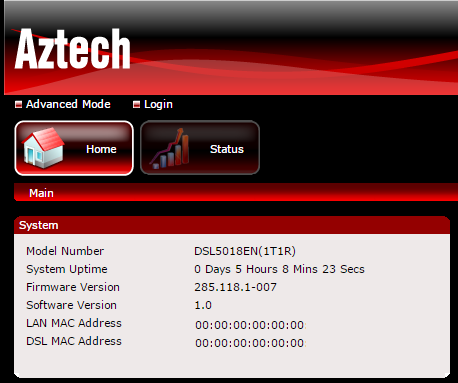 How can i log in to IP address 192.168.254.254 using sun mobile data? No page showed up to log in so that i can edit some settings in my internet connection.